It can be a short and narrow one, but that does not mean that your staircase cannot be decorated the same as the rest of your house. 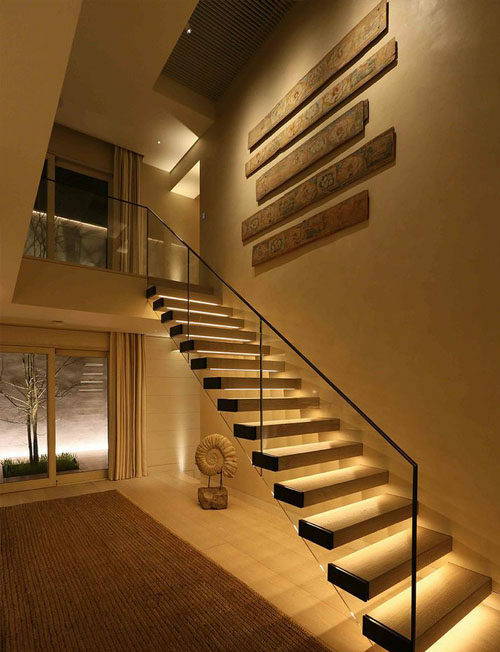 These stairs will give your entrance a step up. Staircase is an important part of your home. 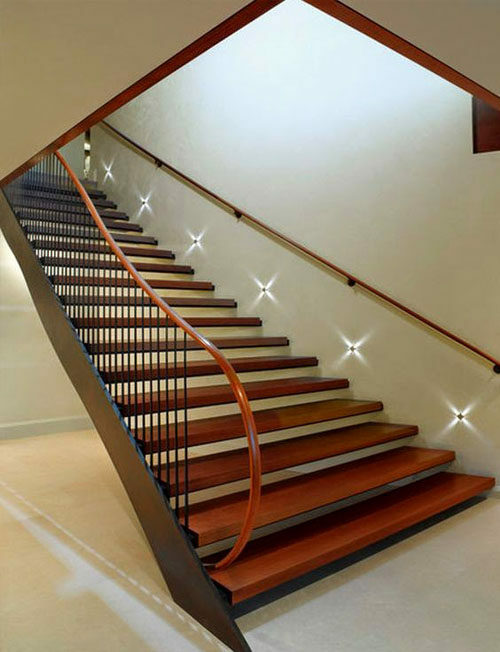 Find below the best methods to decorate your stair and enhance the overall beauty of your home. Create Gallery: – The walls attached to your stairs make the right place to display pictures of the family or any type of pictures. Generally the wall is bare and any design scheme is required. Sometimes we cannot decide that what kind of decor is better for this project. For this problem, you should create or decide a theme. Anyone who has a two-story house can deal this task within minimum amount. Follow the given steps for installing right photos at right places. 1) Decide the theme: – Planning is the essential part of any task. Without planning, you can never find the perfect result. Before buying paintings or frames you should decide the theme. It may be in vertical line or you can make collage. 2) Collect Frames: – after deciding the layout, you should collect the frames according to your images size. 3) Measure the area: – Measure any area on the floor or on a table, which is the size of the place of your wall until you are satisfied, organize your frames on the empty spaces,and write the sizes of frame size. You can also sketch your design to make sure that you believe it right or you can also cut the brown paper and make a demo frame. 4) Hang Photos: – After drawing on the brown paper, now you can hang these pictures on the wall in same manner. 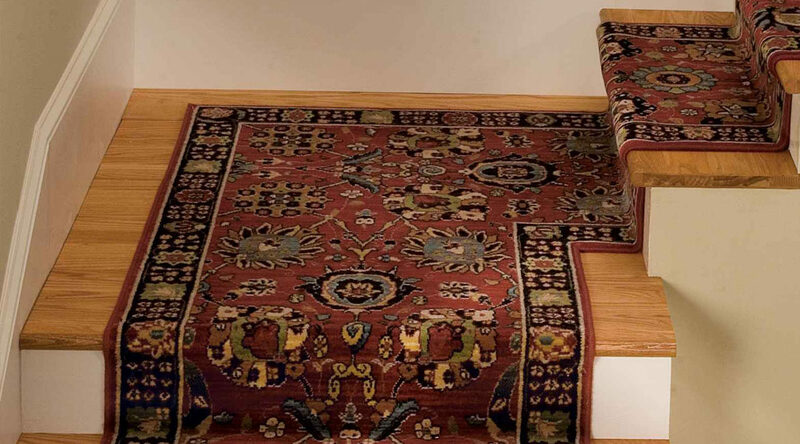 Use handmade carpets: – Handmade carpet provides the warmth and safety to the home. 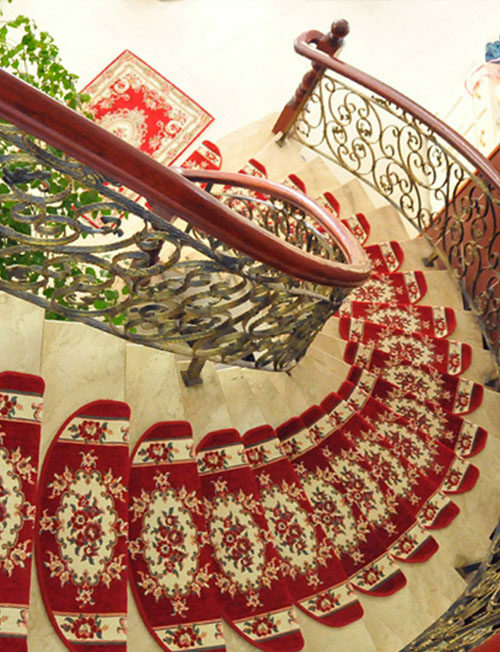 You can use handmade carpet for decorating your staircase. There are three ways to use handmade carpets. 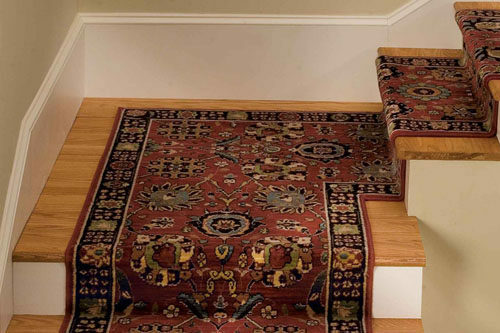 1) Runner Carpet: – If you want to use a handmade runner, you should measure the total length of the stair and the height and width of each step. And then take a handmade runner and install it on your wall. You can also use steel rod and attach it to the wall. 2) Small Doormat: – Buy same doormat in same size and put it on the stair steps. 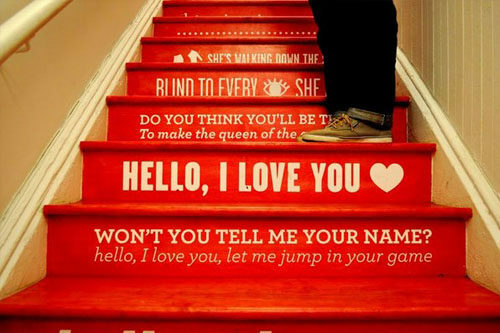 This is the second way to decorate your staircase. 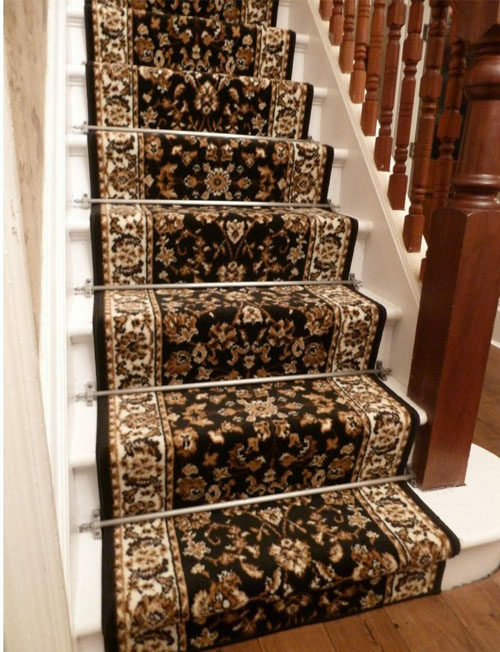 3) Customize runner: – If your stairs turn in different direction or if you want to use a single runner till more than one floor then you can customize your beautiful carpet. Add Lights: – Lighting is quick way to make an attractive atmosphere. You can use lights in two ways. 1) On the wall: – this is the first method. You can use lights on the wall like below image. 2) Below the stairs: – This is the second method. For making more attractive, you can add mirror below on the stairs. Add wall papers: – This is also a creative way to decorate a staircase. You can use floral pattern wall paper or with something quoted wall papers on the stairs like these images.